Francis and Catherine Zygmont of Meriden, Conn.
MERIDEN, Conn. – Francis and Catherine Zygmont have seen many changes through their 60+ years of marriage. They grew up through the Depression years of the 1930s and into the war years of the 1940s. One of the changes Francis says he’s seen is the disappearance of the middle class. It turns out Zygmont is correct. According to a Cato Institute study, welfare benefits in Connecticut amount to $39,761 per person per year. A person leaving welfare for work would have to earn $21.33 per hour to be better off. In addition, welfare benefits are not taxed while working wages are. 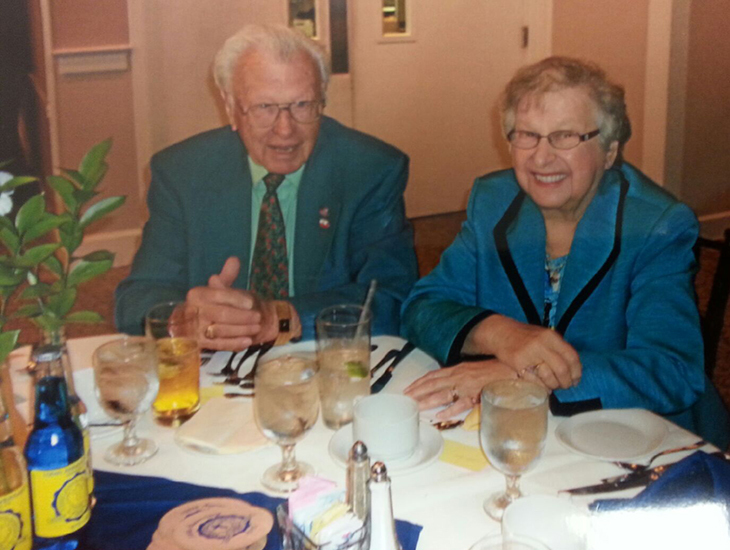 The Zygmont’s said the biggest change they’ve seen, however, is in everyday American life. People do not have the same pride in their country and in their own community. Until just a couple decades ago they felt safe walking in the city, leaving doors unlocked and there were no worries about gun control. “Our kids who are in their 50s and 60s now, it wasn’t unusual to see 6 or 7 or 8 kids walking in the middle of the street carrying a .22 rifle over their shoulder going to shoot tin cans or something like that at the junkyard,” said Catherine. The Zygmonts say that it is unfortunate that Americans don’t feel as safe as they used to, especially in their own neighborhoods. Francis Zygmont also claims that politicians nowadays don’t take command the way that they used to and that has affected the pride the American people have. He feels as though it looks like the United States has gotten weaker. Francis Zygmont also reminisced about the Cuban Missile Crisis in the 1960’s. He says that even during a nerve-wracking time, the United States showed anyone or any country would not intimidate them, something he said the U.S. does not do enough of anymore. Even with the country on the brink of a potential nuclear war, there was a still a lack of fear and no lack of confidence or pride in the country. As part of the agreement the United States also withdrew missiles from foreign countries near Russia. Zygmont remembers times where Americans had much more pride in their country, especially in major events like the Olympics. 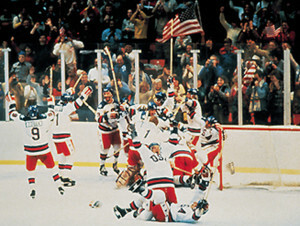 One moment in particular that came to mind was the United States’ improbable victory over Russia in 1980 in hockey. 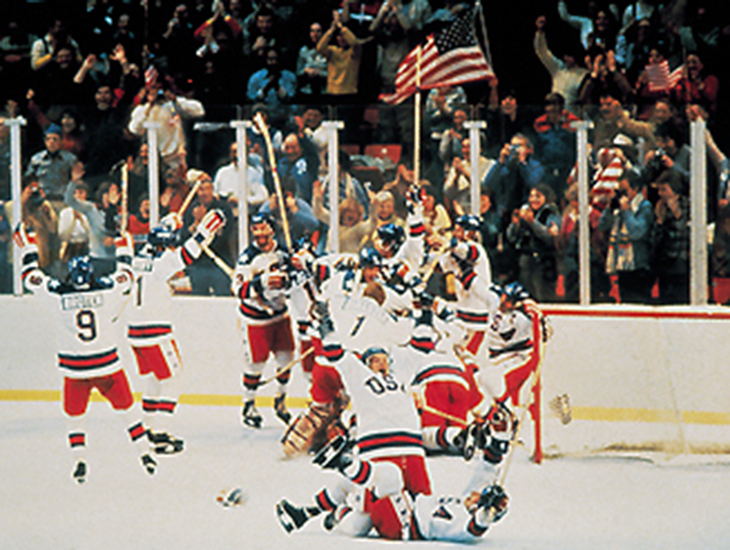 USA Hockey Team’s celebrates upset victory over Soviets the 1980 Winter Olympics. In the 1980 Winter Olympics in Lake Placid, N.Y. the United States faced off with the U.S.S.R. in the medal round game with the winner advancing to the gold medal game. The United States team was the underdog as the Russians were expected to win their sixth gold medal in the past seven tournaments. The United States trailed going into the third period of play, but rallied with 2 goals to take a 4-3 lead, which held up and was the final score. The game has been nicknamed the “Miracle on Ice”. The game winning goal was scored by the captain of the U.S. Mike Eruzione. As the final seconds ticked off the clock, sportscaster Al Michaels delivered his infamous call. “The U.S. had a good team but nobody cared as long as they beat Russia. If they beat Russia anything after that was gravy. That was pride in the nation,” said Francis Zygmont. “Pride in the country. I think that’s what we’ve lost a lot of these days,” said Catherine Zygmont.